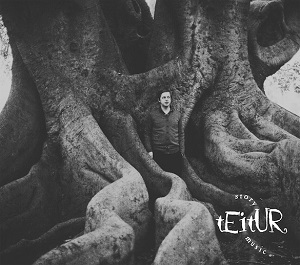 Teitur is a singer/songwriter from the Faroe islands. He left there in his teens to forge a musical career, and now ten years after releasing his sixth album, he has returned to the Faroes to record his sixth album. I really don't know where to start in trying to descibe his music - it's not folk, nor pop, nor rock, yet it contains elements of all these as well as something of a film musical sound at times. In short it's not easy to categorise and stands out from the crowd. What I can say is that this album is definitely one you should lsiten to. The album kicks off with "Hopeful". It's quite simply done - just piano and vocals, but that simplicity works very well and focusses the attention on the vocals and lyrics. it's a very good start to the album. "If you wait" has a strange start-stop sound - you'll get a line of lyrics then a pause before the music and vocals resume. It's quite strange and takes some getting used to. In contrast, I just can't seem to enjoy "Monday" - it just feels like an overlong intro that's missing it's song. This is a very good album - the highlight has to be "Rock and roll band", but the rest of the album is very good too. Strongly recommended.